Happy Thanksgiving! Tomorrow is Black Friday - the official start of the holiday shopping season. 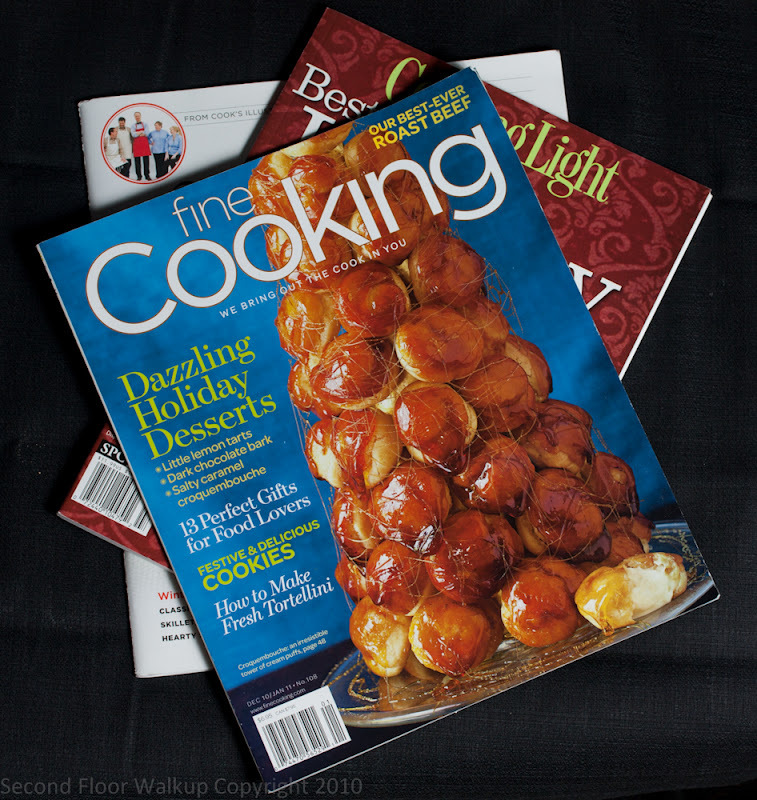 I've assembled a list of my favorite cookbooks, food magazines, kitchen equipment, and other ideas for the aspiring chef on your holiday gift list. Everything I recommend is a product that I own and use, unless otherwise stated. 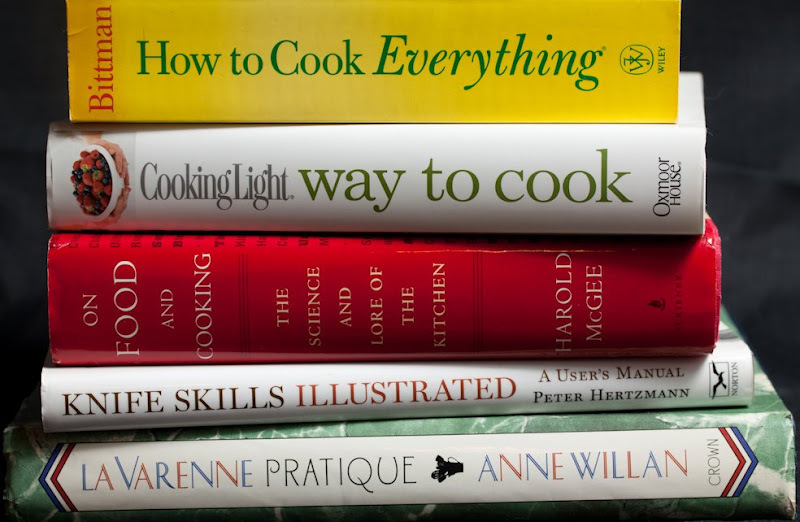 The be-all-end-all of French cooking technique books. Puts books by Julia Child and Jacques Pepin to shame. It's out of print, but can be found used on Amazon. Actually does explain how to cook pretty much everything. Nothing fancy, but a great basic resource. Note: I have the earlier version. Best resource I've found for lower-cal recipes. The science behind the food you eat. It's interesting, and can be really helpful for figuring out why a recipe didn't work. How do you do trim and peel an artichoke? What is a chiffonade? Brunoise vs. julienne vs. minced? This book will show you, through excellent illustrations, how to buy, care for, and use a good knife. Excellent quarterly magazine with recipes, how-tos, taste tests, and equipment reviews - and most importantly no ads! Also check out a subscription to their website and the iPhone app. Great recipes plus great food photography. Stick to your diet with new low-cal recipes every month. I've used the popular Artisan model, and trust me, the professional series is definitely worth the upgrade. Why? First and foremost, the Professional has a bowl-lift rather than the tilt-head found on the Artisan. This makes the mixer much easier to use and transport. It has a more powerful motor (450 watts vs the Artisan's 325). 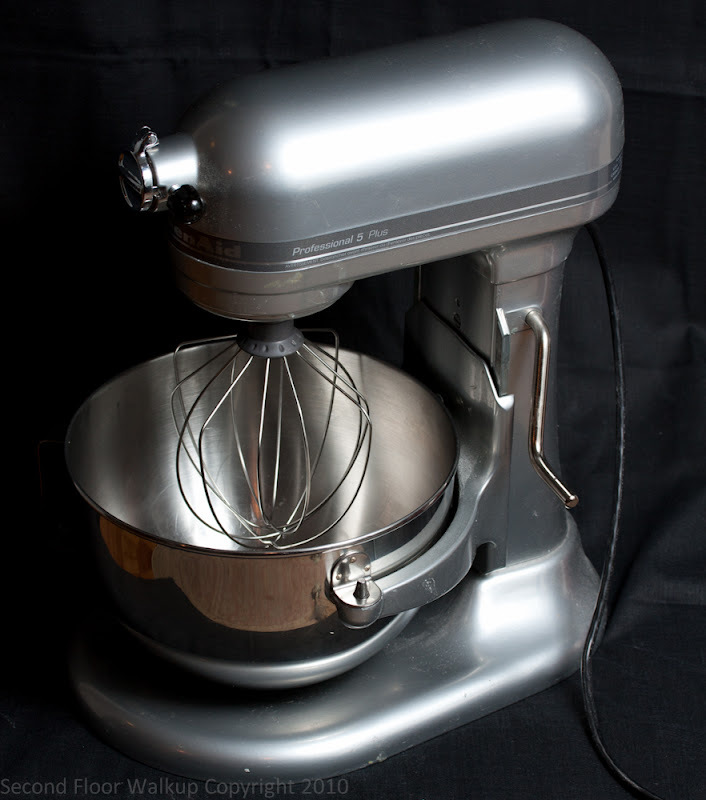 Even though both have a 5qt bowl, the Professional 5 Plus has a higher bread and cookie yield than the Artisan. The only downsides to the Professional are the size (about 2" larger than the Artisan on each dimension) and weight (about 5lbs heavier than the Artisan). If neither is an issue for you, then it's a no-brainer - get the Professional 5 Plus. I use this thing constantly - more than my food processor. It has great features and is easy to clean. The build quality seems pro-level, but it’s not out-of-control expensive. 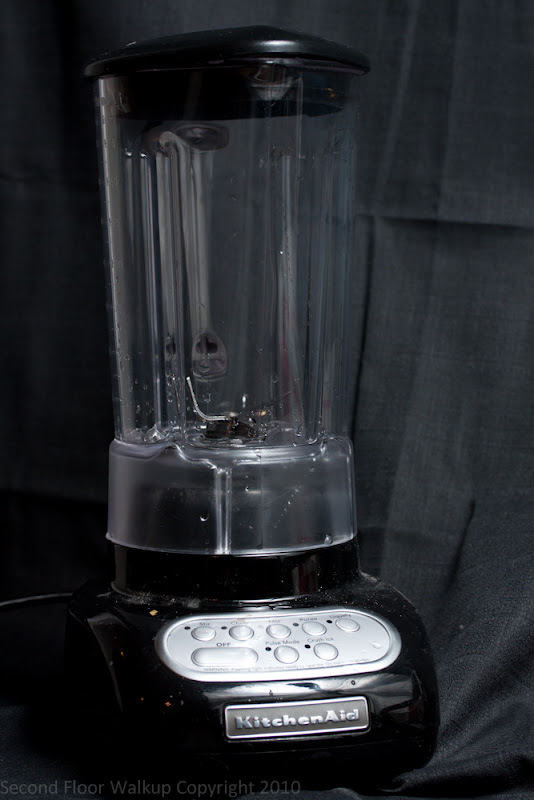 I've purchased a lot of what turn out to be single-use blenders. Spend more initially, and it will be worthwhile in the long-run - particularly if you're going to have a tool as indispensable as this one. In order to get the perfect cup of coffee, you need to grind your beans right before brewing. 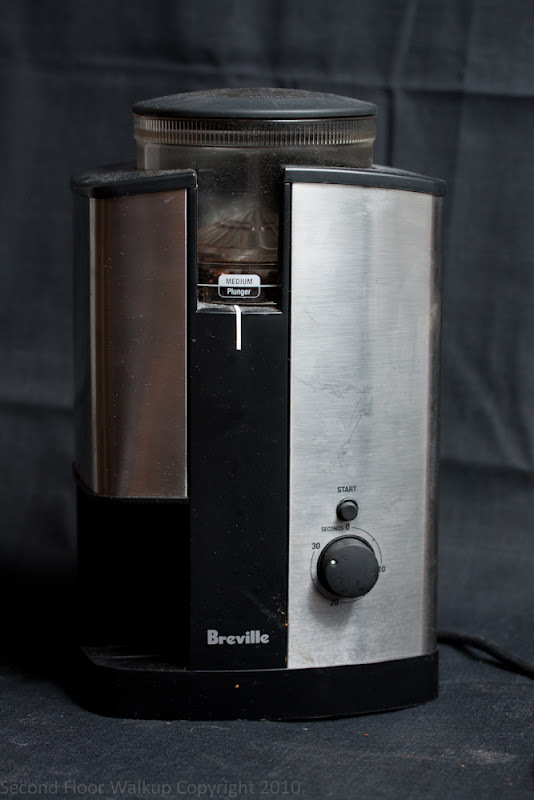 A conical burr grinder ensures an even grind, and doesn't burn the beans the way a blade grinder does. We have used this nearly every day for over a year, and it's still going strong. It's a bit quieter than the blade grinder we used to have, and you just press a button and walk away (no need to hold the lever down and count to 30). The one negative comment I have about this grinder is that about 0.5-1 tbsp ground beans get stuck in the chute to the ground-catcher, and spill out onto the counter when the ground-catcher is removed. I don't like flat water. I know, it's weird. I was tired of lugging home bottles of seltzer every day, and felt guilty about the waste I was causing. 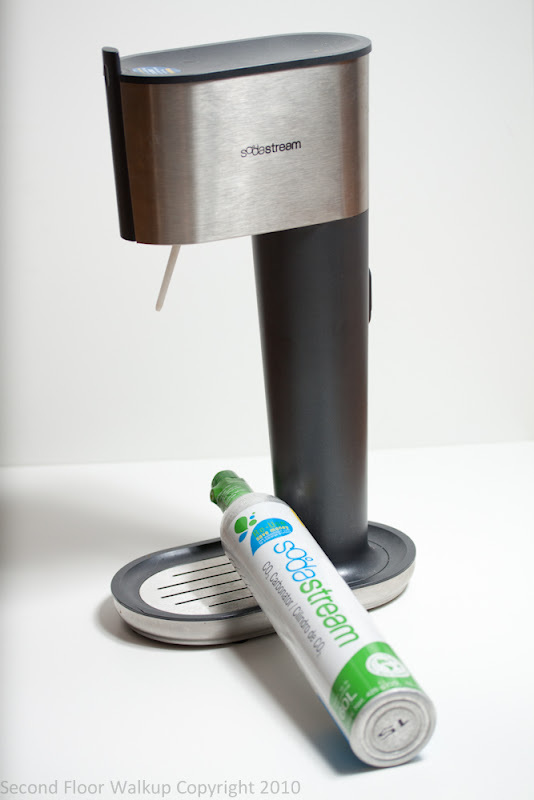 After extensive research, I purchased the SodaSteam soda maker. The canisters last for about 60L and can be replaced at Williams-Sonoma and other local retailers. They also sell syrups, or you can make your own, to make flavored sodas (I can't vouch for these though). I just received this from J for my birthday. 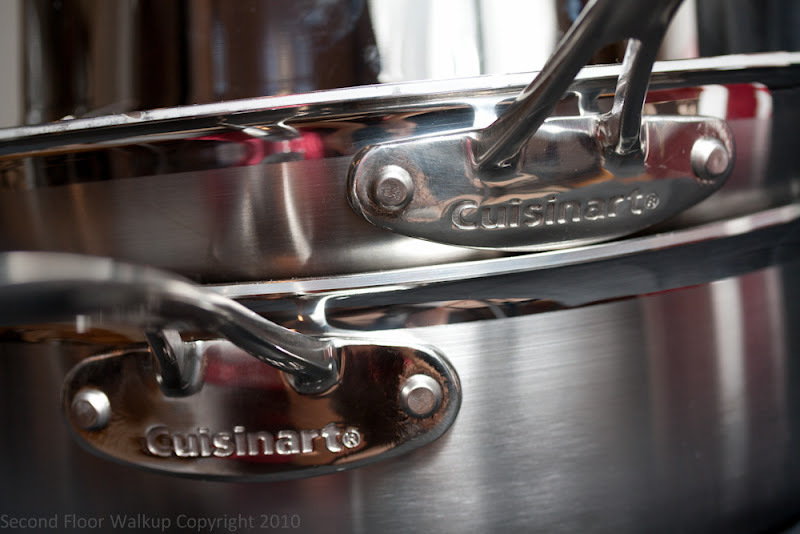 These pots are a great affordable alternative to All-Clad. They're dishwasher safe, and have (for the week or so that I've used them) performed excellently! They have a good weight distribution and a curved edge for easier pouring. 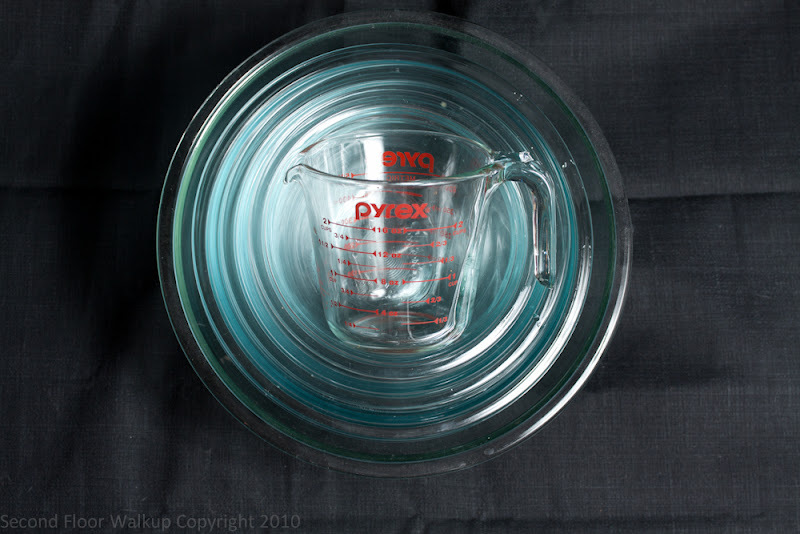 I would be lost without my Pyrex prep bowls. Great for mixing, storing, melting chocolate over a pot of boiling water, and are dishwasher, microwave, and oven safe. I wish the extra-large one were lighter (this was especially an issue pre-new-apartment-with-dishwasher), but then I suppose it would not be as sturdy. 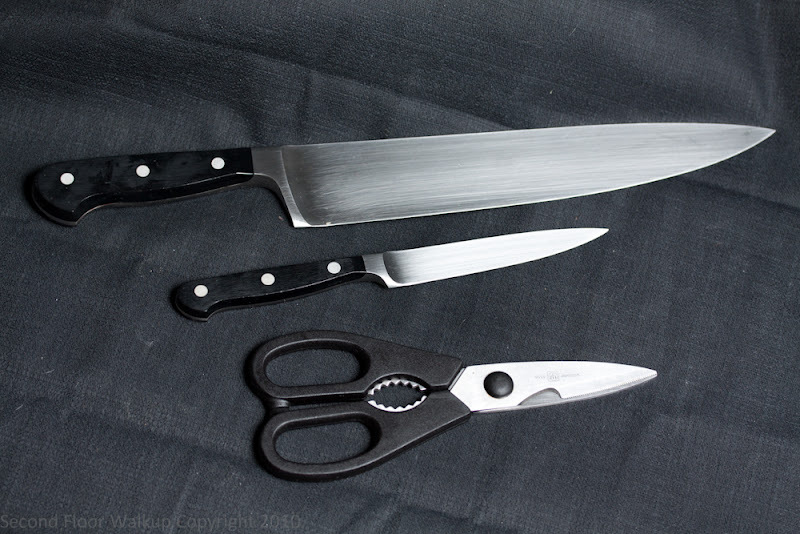 I have the 10" wide chef's knife, the 4.5" utility knife, and the come-apart kitchen shears. These knives are well made, not too expensive, and, provided you keep them sharp, can cut your prep time significantly (pun intended). If you can only get one, get the utility knife, it is by far the one I use the most. 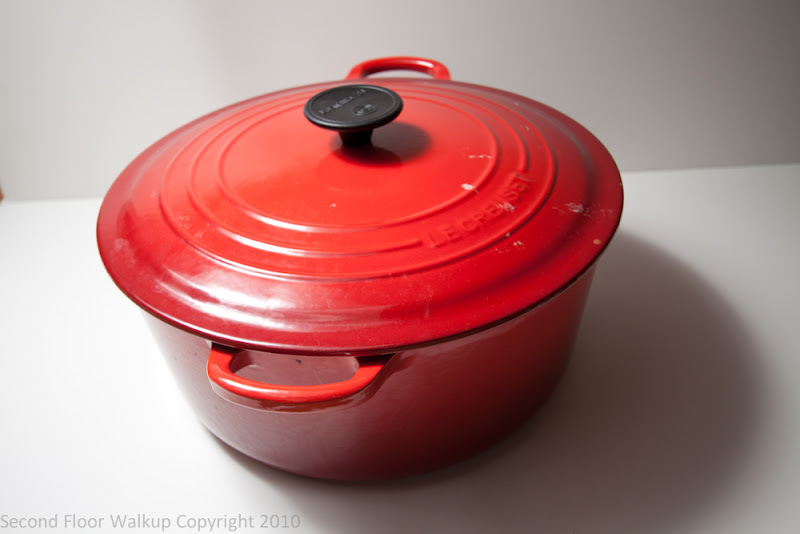 I have the 7.25qt oven and I use it for soups, stews, as a roasting pan, and, just recently, to make a water bath for a cheesecake. It's not the most affordable gift, but it's really high quality and gets a lot of mileage in the kitchen - and it comes in a variety of colors. The only item on this list that I don't own/haven't tried personally. But they are so adorable and perfect for the foodie-fashionista on your list. Murray's might be my favorite food destination in the city. Any place that recommends excellent cheese and lets you try it before you buy it is #1 in my book. You can buy most of their cheeses online and subscribe to a cheese of the month club. If your gift recipient is in the city, I recommend the cheese classes at the Bleecker St. location; I've done Cheese 101 and the Mystery of the Caves.